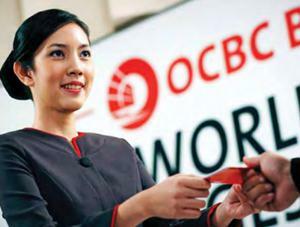 Lowongan Kerja PT Bank OCBC NISP Tbk - OCBC NISP (IDX reference code NISP) or widely known as Bank OCBC NISP is a public listed banking company in Indonesia with majority share holder by Singapore OCBC Bank (OCBC Group). At present, OCBC Group owned 85.1% shares in this bank OCBC Overseas Investment Pte Ltd, while the remaining 14.9% was owned by public. Bank OCBC NISP is widely known nationwide as the fourth oldest bank in Indonesia. OCBC NISP was founded in 1941 and initially registered as NV Nederlandsch Indische Spaar En Deposito Bank. Bank OCBC NISP is based in Jakarta and supported by 337 outlets spread in 59 cities throughout Indonesia (as of As of December 2014). In term of financial positions, Bank OCBC NISP has a stable financial performance. the Bank had boosted its total assets to Rp 103.12 trillion from Rp 97.52 trillion at the end of December 2013. OCBC NISP's Management Associate Program is the 18 months of structured education program which designed for fresh graduates aspiring to pursue career in banking. A maximum of 2 years of experiences.